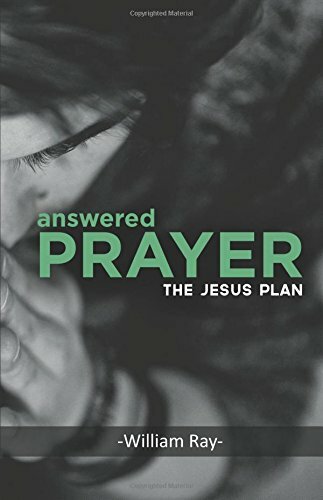 Answered Prayer: The Jesus Plan is a study of the world's most famous prayer, the Lord's Prayer, based on the premise that Jesus would not have told us to pray a prayer that didn't work, but that each line of the prayer is meant to bring about answered prayer and real communication with God. Jim Daly, President - Focus on the Family: "Bill Ray has dissected this famous prayer in a way that shows us what it looks like to approach God with adoration, purpose and genuine faith." * Real-life examples of answered prayer that illustrate the practical truths found in Jesus' words. * "Digging Deeper" questions (with space for your answers) to help you consider how these truths change your life. * A Prayer Guide to "jump-start" your prayer life. As a former atheist who had an experience with God through a simple, heart-felt prayer, I've been fascinated by prayer ever since. In that moment I realized that prayer really does change things. In Answered Prayer: The Jesus Plan I'll walk you through the world's most famous prayer to show you how prayer can change things in your life too. Along the way I'll share many real-world examples of answered prayer to show you that God is still in the prayer-answering business. You won't be the same again. We are a book recycling business that gives an opportunity for schools and individuals to discard used books while preserving the environment. Booksavers of Virginia is a non-profit organization, and proceeds from the sale of books go for worldwide relief and development work through Mennonite Central Committee. Orders usually ship within 2 business days. We ship with Delivery Confirmation so you can track your shipment.